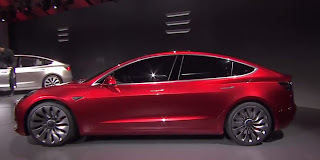 As far as the downsides of the Tesla Model 3, let’s try to look at things from a different perspective: the biggest downside of Model 3 in my opinion is that it doesn’t exist yet. 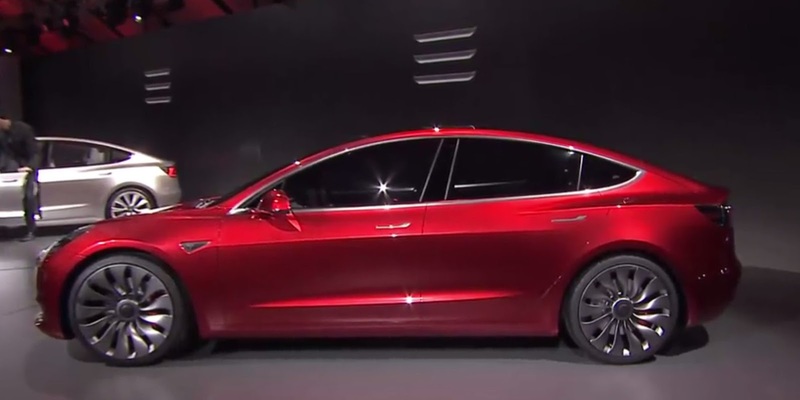 Lots of things can change until the launch date and I would assume that, when it was presented earlier this year, Model 3 was probably nowhere near a decent stage of development. In order to understand this perspective, you have to take a different look at the way the company operates: in my opinion, it’s fundamentally a very focused marketing machine that until now has been focused on selling shares, with car sales instrumental to that. Before some fans attack me because of this comment, let me tell you that… it was the right thing to do! In other words, Elon perfectly knew since the beginning that he would need a massive amount of money to become a car OEM and that, in order to raise that money, he had to create and sustain excitement in investors even more than in clients. Another way to look at it is that at this prices, the purchase of Tesla stock is more irrational than the purchase of a Model S: the latter is a very good car, competitive in its market, while the stock is more of a bet (or a gamble) on future dividends that nobody knows if they will ever appear. Car sales and car fans are just instrumental to raise the money Tesla needs to reach the point where it will be self-sustainable: the gamble is that financial markets keep drinking the company’s kool-aid at least until the company becomes self-sustainable. If they stop drinking it too soon, it will be game over and an historical failure, if believers sustain the company long enough, it will be a masterpiece of entrepreneurship and a tremendous success. A lot is at stake with the future of Tesla. The company is, in my view, the most important private sector clean technology purveyor out there. Elon Musk has almost single-handedly pushed EVs to the forefront of the public imagination, spurring other automakers to follow suit. He also is betting big on energy storage and its marriage with solar PV, which will be essential to decarbonizing the grid. Combined with electric transportation, Tesla’s technology deployment promises to help the world decarbonize at a much greater rate than we otherwise would. I don’t want to overstate it, but Tesla is making a strong claim to being in position to quite literally save the world (at least from out-of-control climate change). So we need the company to succeed and raise the capital it needs for the deployment it envisions. If Carlutti is to be believed, let’s hope Musk can keep stoking the imagination of investors — and more importantly, that he and his team can deliver on their big promise with the Model 3. They’ll need a car that meets expectations at the right price and delivery time, without some of the quality issues plaguing the Model S.
It’s possible to do, but not certain. Reason for us all to be nervously optimistic.